Thank you for selecting us as your dental service provider. We sincerely hope that our relationship will be prolonged and mutually rewarding. Our office emphasizes dental cosmetics and our work is based on achieving healthy teeth and gums. We provide extensive service options such as restoration, aesthetics and cosmetics, prevention, crowns, implants, extractions, whitening and much more. Dr. Rafael F. Diaz received his degree at the University of Puerto Rico in 1989. He received a postgraduate degree in Orthodontics and Dento-facial Orthopedics at the IDAP Institute of Mexico in 1992. He received awards as one of the best in his class in orthodontics. 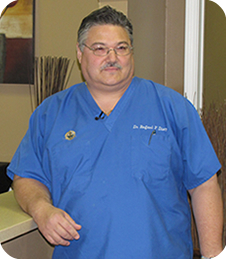 Since 1993 he has obtained numerous certificates through courses in different seminars on implants, oral surgery, dental cosmetics taken in the United States. 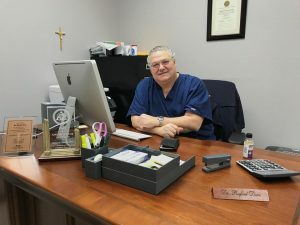 Dr. Diaz with all his training and with more than 25 years of experience in his area, allow him to offer the best service and the best treatments that his patients may require.